Around a week ago, a group of divers completed their investigation of the wreck of a ninety-year-old steamship laden with copper. The vessel was discovered off the Lågskär Island in the Åland archipelago in 2013. Named the Kantava, the steamboat sank to the bottom of the Baltic Sea near the entrance to the Gulf of Bothnia, between Finland and Sweden. Åland's Maritime archaeologist Marcus Lindholm says he is confident he has established that the vessel is the Kantava, due to its location, make and fittings. According to the ship’s papers, one of the owners around the year 1925 was a certain Juho Kaskinen, a farmer, MP and municipal council advisor. According to Lindholm, Kaskinen’s descendents can still claim ownership of the vessel. However, the more pressing question is: to whom does the nearly one million euros in copper rightfully belong ? The laws on such issues are more complicated than a simple case of finders keepers. Although it may be possible to identify the boat's rightful owners, that does not necessarily mean that they also have a legal right to its contents. 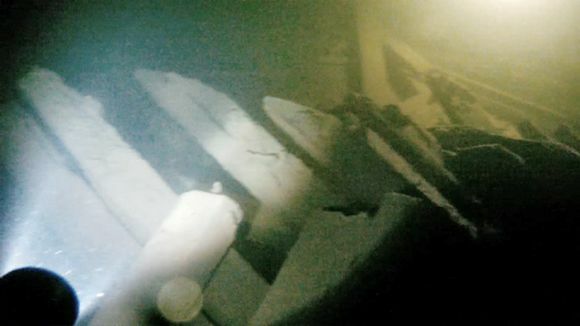 The Finnish state cannot claim the bounty, as it has been less than one hundred years since the vessel sank, therefore the wreck is not considered a protected site. Adding to the intrigue, it is highly possible that up to ten kilogrammes of gold is mixed in with the copper. Miners during this era didn't have the ability to extract the precious metal, so it likely the gold is still buried within the less valuable metal. Mikko Simola led the diving team that found the wreck. “That’s why we made our find public. We wanted to establish who the wreck’s owner was. We don’t own it. We just wanted to give the coordinates to the owner, who could decide what to do with the ship and its cargo. It is very valuable,” said Simola.